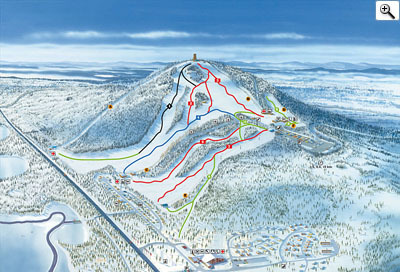 Isaberg has slopes to suit everyone, from gentle green slopes to challenging black runs. A fully automated snow cannon system and lighting on all slopes guarantees a long season, generally from mid-December to March. The lift system has two chairlifts to keep waiting to a minimum, and the six-seater express lift takes you straight from the valley to the peak. Isaberg has a real alpine atmosphere despite being in western Sm�land. 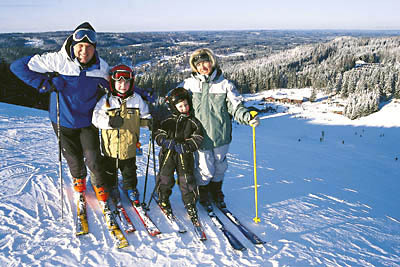 In addition to downhill skiing there is cross-country skiing, winter fishing and skating on natural ice. Even better, all these activities are gathered around the peak of Isaberg, just a stone’s throw from each other.